Whether you’ve got your Separation Agreement in hand or you’re still working toward getting it done, there is a lot to think about when you are going through the separation process. So here’s a helpful list of practical things that need to get done. It can feel overwhelming. So just choose one or two things a day to accomplish and before you know it, you’ll have got it all done. Want to take this checklist with you? You can download it HERE! Make a note of your separation date. This is the date that one of you decided the relationship was over and you let your partner know, even if you continued to live in the same house. This date is important because it may be relevant to the settlement of property and one year from that date you will be able to file for divorce. Change your personal passwords. We know we’re not supposed to share our passwords but good chance you and your partner have told each other what they are. Make a list of all of the places you need to change them and go through them one by one. These might include things like your email, personal banking, bank cards, online services, personal computer, cell phone, iTunes, Amazon, Facebook and so on. However, be careful not to block access to something like a joint bank account or joint investments before you’ve decided how they are being separated and taken the steps to separate them. Separate joint accounts. This may include more than your bank account. You may share an Amazon account or an iTunes account. Again, make a list and work through it. You may choose to have joint accounts frozen until you have agreed how to manage them. This ensures both of you are protected if you are worried about the other person draining an account. Open separate accounts. In your separation agreement you should note if one of you is keeping a particular account and the other is expected to open a new one. Or, you should note if you’re closing an account and you’re both opening new ones. Redirect your direct deposits. You may need to get in touch with your employer and have your pay redirected to a new separate account. Redirect your bill payments. In your separation agreement you should have outlined how joint bills will be handled. One of you may be keeping certain accounts and taking responsibility for them. If this is the case be sure to redirect your bill payments to your separate bank account so you don’t miss a payment! Credit card considerations. Determine who is the Primary Card Holder and who is Secondary Card Holder on credit card accounts. In your separation agreement you should have determined how you’re handling credit cards. You may need to add “remove secondary card holder” to your checklist. Or, if you’re not a Primary Card Holder on a card you may need to apply for your own card. Access to Financial Records. Download or request a history of contributions and other transactions for your records. Update Insurance Policies. You may need to change beneficiaries, authority to act, name on the policy or direct debit payments. Redirect your mail. If you have moved be sure to set up the redirection of your mail and then methodically work through updating your address with everyone. Loyalty or Points Cards. This is another area that can often be found in separation agreements, especially if you have racked up a significant number of travel or store points. In your agreement you should outline how you will deal with these cards. Once agreed upon be sure to take the necessary steps to change passwords, account holder name, mailing address etc. Advise Canada Revenue of your Separation. Whether you do so on your taxes or by phone, be sure to advise CRA of your change of status. They will make the appropriate changes to things like the Canada Child Benefit based on your new status. Separate cell phones. These days we often have shared family plans. Determine how you want to handle this going forward. Will you separate them out? Whose plan will the kids be on? Extended Health Plans. If your partner is on your extended health plan you may need to remove them. If you have kids it’s important to determine whose plan they will be on or will they potentially be on both plans? Cars and car insurance. Again, this is one of those things where you need to determine who is the primary insured on your vehicles. Then, depending on what you’ve outlined in your separation agreement, in regards to your vehicles, you may need to update ownership and insurance. Start informing important people in your children’s lives. It’s important for people who interact with your children to know about your new situation. This may include doctors, teachers, coaches, daycare, activity leaders and so on. You don’t need to go into all the details of your life but letting them know will help them to understand if your child is not doing as well as usual. This step is also important if access to your children by your partner has been limited or stopped. Be sure to bring in a copy of the paperwork outlining this for their records. Wills and Power of Attorney. Review them and make the necessary changes. Or, if you don’t already have these in place get them done. It’s VERY important! You don’t want to leave your estate or your kids at loose ends if something happens to you. Back up your computer. We would probably all be surprised by the amount of info we have stored on our computers. You may want to consider backing it up and starting fresh depending on how concerned you are about access to information by your ex. Depending on your situation there may be more you need to add to this list but this should cover the main areas of your life. Some of these things can be done before your separation agreement is in place and some need to wait until you’ve worked out how you’re managing all of these things moving forward. Be careful not to deny access to things that your ex-partner has a right to access. That could get messy and create a lot of unnecessary conflict. That being said, if you’re worried about protecting yourself in the interim, talk to your bank, your credit card company and so on to determine how you can do that. Want to save this list for future reference? You can download it HERE! We can probably all admit to a time when we contemplated things we would like to do to someone who has hurt us or made us to suffer in some way. Whether it’s keying someone’s car or ruining their reputation in a Facebook rant, the idea of exacting revenge can feel sweet. In separation and divorce the need for revenge can be overwhelming! Sweet, sweet revenge! Unfortunately, revenge is rarely, if ever, sweet. In fact, it usually has the very opposite effect for everyone involved including the person who carried out the revenge. The need for revenge can leave everyone stuck for months, even years, in a conflict that is not only financially expensive but even worse, emotionally expensive. In Family Mediation, I have seen couples become utterly trapped by the idea of revenge. So trapped that they are making decisions that are in no one’s best interest, especially their children’s. When you are trying to make decisions about parenting and finances through the lens of revenge you are NEVER going to be making decisions that are in the best interest of your children. Your children are the biggest losers no matter how you cut your cake. Here are the hard truths about revenge. Your kids will pay the ultimate price. When you are unable to separate your relationship with your ex-partner from their relationship as a parent to your children, your kids will get hurt. It may feel good for a minute or two but ultimately it will not satisfy your emotional needs…and then what? It can create a cycle of retaliation that leaves you stuck in conflict. Revenge is EXPENSIVE! When you are separating and stuck in the revenge trap you will be wasting valuable time and money that can be better spent getting to agreements so you can move on. There may be huge consequences for you in seeking revenge. Slander, cleaning out bank accounts, barring access to the kids, cutting up credit cards, destroying property can all potentially lead to legal or even criminal problems for you. Revenge leaves you stuck and unable to move on to a better life for you and your kids. Revenge is for the weak. It is the easy move. We all have our moments of weakness. The harder move is putting these feelings aside and being the responsible adult your kids need you to be. The stronger move is to start figuring out what you want the next chapter of your life to look like. Revenge is often a cover for how scared you are of moving on. It can be harder to uncover the opportunity that lies ahead for you. But that’s where the sweetest rewards can be found. So, how can you avoid this need to make your ex’s life a “living hell”?! When I’m working in Family Mediation I am always aware of this natural tendency toward revenge separating parents may have. So I work proactively. I have developed tools that I use with couples that they work through before we all meet together. These tools help them to get into a mindset where they can make decisions that are in the best interest of their children. The tools help them to envision what they want for themselves in the next stage of their life and what they need to do to get there. It’s not to say the need for revenge will never rear its ugly head again and everything will be candy and roses. But these tools can provide a touchstone, a way of grounding oneself, to come back around a more productive and reasonable approach to the agreements that need to be made. It lets you have your cake and eat it too. Get Curious! How to Open Up Your Communication by Using "Open-Ended Questions"
In our every day conversations we ask others a lot of “closed” questions. Closed questions are ones that only require a “yes” or “no” answer. Yes or no really doesn’t give us much information and we’re often missing out on crucial pieces of info that could help us to resolve something. Open-ended questions, on the other hand, require the other person to give you more information than just yes or no. This information can be gold! It can let you know so much more about a situation and can really help you get to the heart of a matter. In a recent live stream I did with Mediate BC about parent/teen conflict I used the example of a parent wanting to know if homework was getting done or not. In a closed question you would ask “Is your homework done?” And the answer would be yes or no. If it’s yes, great, you can move on with your night. If it’s no, you might start to make some assumptions about why it’s not done and this may lead to conflict. So let’s try that with an open-ended question. “What’s your plan for getting your homework done tonight?” This question will give you way more information. Your teen can tell you about their schedule for the evening and how they plan to work in enough time for homework. You can start to see how this can begin to open up communication with everyone in your life such as your spouse, co-workers and friends. You can probably also start to see how it can help to prevent conflict but less assumptions and misunderstandings happen. So, I have a challenge for you! Pick one day this week and try to ask everyone you interact with an open question. It takes practice. At first it will feel awkward. But over time, the rewards will be worth the effort. 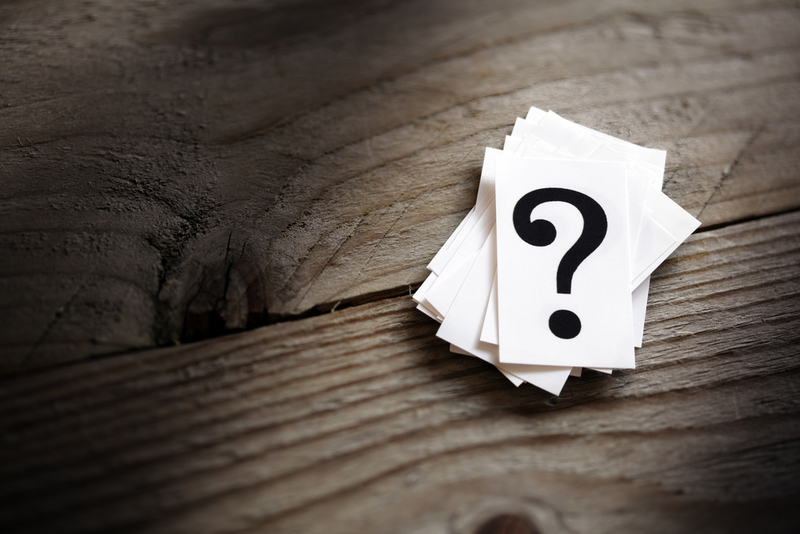 To help you get started here is a list of some open-ended questions you can try out. You can also download them HERE for easy future reference. What's important to you about that? What are the benefits of doing it that way? What are some examples of…? What is your understanding of…? What is it like for you to hear him/her say that? What will happen if you can't reach a resolution of this issue? What do you want to address first? What is your hope for...? How can you feel more supported? Where could we find that information? What else do we need to know to make this decision? What should we do if our plan doesn't work? And here’s the cheater! If you are having trouble thinking of an open question try this statement instead because it usually has the same effect as an open question. Help! My Teen is Driving Me Crazy! If you have teens in your house then I’m sure you’ve had at least a few moments of frustration. Those moments of frustration have likely, in some cases, lead to conflict between you and your teen. Wouldn’t it be great to have a few tricks up your sleeve to deal with these conflicts more effectively? Here are some tips about how to communicate more effectively with your teen when it comes to some of the common issues that come up such as getting homework done, screen time, using the car, staying out late, not getting chores done, all of those common issues that over time can lead to big arguments. Now, don’t get me wrong. Using these tips isn’t going to magically transform the teen years into sunshine and rainbows. But it will lead to less stormy days on a regular basis. Tip #1 – Understand the teenage brain. The teen years are an awkward time where they are starting to present as an adult and wanting to be treated like an adult but are still like a child in many ways. Often the expectations we place on teens are not realistic based on their cognitive and emotional development. Their brain is still developing and skills like setting priorities, being organized or keeping to a schedule are very difficult because their brain is still working on those skills. It’s not that we can’t have these expectations of our kids but we need to recognize that in order for them to achieve them they need to be supported in a variety of ways. Avoid unnecessary conflict. As parents, when we’re frustrated with our kids, it can be easy for us to start to fall into a pattern of creating a conflict over every little thing we see them doing wrong. This is exhausting for both of you so save it for the things that really matter. Going in hot never works. Wait until you’re cooled down and can think rationally about how you’d like to approach the problem. When you need to discuss an issue with your child pick a time where you both have the time to talk, you’re not distracted by other things and you’re in a good head space. When in conflict we often make assumptions about the cause of the conflict and why the other person is behaving the way they are. Those assumptions are often wrong. So get curious and ask lots of open questions. Open questions are ones which require an answer other than yes or no. For a list of examples of open questions CLICK HERE. Asking open questions helps you to get to the heart of the matter. It also helps to identify needs. A conversation where your teen feels like you are genuinely listening and interested builds trust. Be non-judgmental about their answers. What is important to them matters even if you think it’s silly. Lots of times our teens have no idea what we’re going through or haven’t thought of things from our perspective. So lay it out for them and talk about how their behaviour and choices impacts you, but not in a guilt-trippy kind of way. Role model the language and behaviour you want to see. Speak to them like you would speak to an adult. The adult world will demand they deal with conflict so model a positive way of dealing with it for them. Tip#7 – Identify the needs and criteria for the solution. Make a list of the criteria your solution needs to meet. For example, getting homework done may be the issue. Your teen’s need may be that they want to be in charge of their own schedule for getting things done. Your need may be that you need to be able to see that things are getting done. So that’s your criteria for the solution you come up with together. Tip #8 – Write it down. Create an agreement and write it down. Review it after a set amount of time to see if it’s working. And when it is done, it’s done. Don’t hold this over their head for years to come. Don’t keep a mental tally of all of their mistakes to use as ammo against them. It shuts down any possibility for a two-way conversation. Tip #9 – Let natural consequences be the consequence. I’m a fan of natural consequences because when you’re an adult those are the kinds of consequences you deal with in real life. If I don’t get work done in my job no one takes my phone away or tells me I can’t go out. Instead, I have to live with the consequences of not meeting a deadline. That’s a natural consequence. So step back and give them room to succeed or fail while you’re still there to catch them. Giving them this room significantly contributes to their development of skills. Cognitively and emotionally they require opportunities to make mistakes and misjudgements, it’s how they learn to be an adult. Tip#10 – Don’t abuse your authority. There will be times when you need to use your authority. In emergencies or when someone is going to get hurt you need to use your authority. But don’t abuse it. If your “go to” response for everything is “I’m the parent, do what I say,” you are going to get stuck in a cycle of conflict and rebellion. This is true of most of our relationships where we hold some sort of power over another. If all we ever do is assert our power we are asking for conflict and rebellion. There is little opportunity or motivation for the other person to “buy in” to the relationship or to take ownership of the resolution. DOWNLOAD A FREE COPY OF THESE TIPS BY CLICKING HERE! After separation one of the first things parents often tackle is their parenting schedule, meaning, how much time will the kids spend with each parent. When asked why they have set up a schedule in a particular way parents often talk about the kids’ activities, work schedules and school schedules. Of course, these are important issues that need to be taken into account. But even more important considerations are the developmental stage of your child and their temperament and personality. So let’s walk through the different ages and stages and chat about things to consider when creating your parenting schedule. At this age your child is completely dependent on you both physically and emotionally. Attachment to each parent is crucial. For this reason, you will want to set up a schedule where your child sees each parent on a frequent basis. It is also important for you, as a new parent, because this is a time where you are learning all about your child. You’re learning about their cues, what their different cries mean and how to comfort them. It is a time where parents are building their confidence. So it is important that each parent spends time with their child. You will get conflicting information about whether overnights are recommended. Overnights can provide a special time for a parent to bond and learn. It also gives the other parent time to catch up on sleep! If you are considering overnights you’ll need to figure out feeding schedules and other routines and how to manage them. At this age your child is very ego-centric. They feel they are in control of everything that happens and for this reason they also feel like they are the cause of everything that happens. They are not emotionally independent at this age and need you to be there for them to help them navigate the “why” of everything. They need consistency and structure to feel safe and secure. This doesn’t mean everything needs to be identical at each home. It means that the child knows what to expect from each home environment. At this age you still want to be looking at fairly frequent transitions. As an example you may want to look at a 2-2-3 schedule. In this schedule a child spends 2 nights with one parent, then 2 nights with the other and then back to the first parent for 3 nights and repeat! With this schedule the child spends every other weekend with each parent. School age kids are at risk of feeling the most impact from divorce in the long term. However, what studies show is that it is not the divorce itself that causes trauma, but rather, ongoing conflict can cause trauma they carry with them into adulthood. It is imperative that you, as parents, are encouraging a healthy relationship with the other parent. This means no negative talk, no sabotaging visits and providing ample opportunity to communicate with the other parent even if the child is with you. At this age kids can manage longer times between transitions as long as they can communicate or see the other parent when they need to. At this age you might want to consider a 2-2-5-5 schedule. With this schedule there are less transitions and your child gets to spend every other weekend with each parent. 2-2-5-5 schedule can still be beneficial. In this way both parents are connecting with school and activities while also getting to spend down time on the weekend. Despite a growing independence and developing an identify separate from their family, the teen years can be tumultuous and emotional. As a parent you walk the fine line between interfering and being supportive. This is an age where your child can express their views about the parenting schedule. It is important for them to feel heard and to feel like their needs and wants are being taken into consideration. If you have younger children this can start to be a time where your teen is moving on a different schedule than their siblings. They may not want to move back and forth as often. They may prefer to have more of their stuff at home than the other. As much as you can support them and remain connected while still encouraging their independence and listening to their opinions. Creating your parenting schedule can be difficult and it may mean sacrifice on your part. But if you can hold the idea of “what is best for my child?” at the forefront of all of your decisions that is the best you can do. Your children are the most vulnerable and have the least amount of control through separation and rebuilding a new version of your family and it’s important to honour them throughout the process. In Family Mediation the issue of what to do with the family home is a hot topic. The family home is often a couple’s biggest asset. Besides the financial value there is often an emotional value attached to it. Sometimes working through the emotional piece is harder than figuring out the financial piece. In this article I want to look at your options in terms of the financial value of your home. There are basically 3 options you can choose when determining what to do with your home. This is sometimes the simplest option. It can also sometimes be the only option if neither spouse is in a position to qualify for the mortgage on their own. Possible capital gains if the real estate you are selling is not your primary residence, for example, an investment property. Will you qualify for a mortgage on your own? If not, selling may be the only option. Do you need the cash? Sometimes you need the cash out of the home in order to pay off other family debt in the separation. With this option one spouse buys the other spouse’s half of the house. For this option to work you will need to come to an agreement on the value of the home to determine equity. You then need to determine the dollar amount of the buy out. You may want to adjust it to take into consideration projected selling costs or possible capital gains. You may need to look at refinancing the mortgage in order to buy out your spouse. Another option is to draw up an instalment loan with terms agreeable to both of you. As an alternative to cash for the buy out other assets could be transferred to the spouse who surrenders the home. An instalment loan creates a creditor/debtor relationship. How will that impact your ongoing relationship as co-parents? If you are surrendering the home and are taken off title but remain on the mortgage you will likely be on the hook if your ex ever defaults on payments. If you surrender the home but remain on the mortgage you may not qualify for a mortgage of your own because you may be considered overextended. This option may work for couples who want their children to remain in the family home until they finish school or reach a certain age. Usually the couple agrees to sell the home after this contingency occurs. The most common arrangement in this scenario is that the resident spouse pays the mortgage and other costs associated with the house such as property taxes, maintenance and repairs are shared equally between the ex-spouses. It creates a financial tie that may cause stress, especially if there are disagreements over maintenance and repair costs. The spouse who moves out needs to rent or purchase something else and may not qualify for another mortgage due to still being on the current mortgage. It’s never an easy decision. You really want to weigh all of the pros and cons. You’ll also want to think about where you see your life 5 years from now. Sometimes that can help to determine whether it makes sense to hang on to the house or not. If you have any questions on this topic or any other family mediation issues please get in touch! We're Separating- How Do We Decide Who Gets What?! Along with a parenting plan, property division is the other area where much of mediation time is spent. Questions abound in this area. How do we decide who gets what? Do we just split it 50/50? What am I entitled to? The answers, of course, are different depending on your specific situation. Although it is important to know your legal rights and what you are entitled to, the beauty of mediation is that it is flexible and you and your ex-partner get to decide the final outcome. And that may be very different than what you are entitled to. Sometimes what we are entitled to isn’t what we actually want. But to give you a basis for your decisions I’ll fill you in on the general guidelines for property division. Remember! This is the general overview and your situation may be different. There can be grey areas in property division and legal advice may be helpful so that you are making informed decisions. This typically includes property that existed at the beginning of the marriage or common-law relationship, regardless of whose name it is in. It also includes property acquired during the span of the marriage to, typically, the date of separation. Excluded Property can become a grey area and can become Family Property depending on how the property was treated during the marriage or common-law relationship. Many people think you just add it all up and divide it so that each person gets assets equal to 50% of the total. While 50/50 may be a place to start it is likely not where you’ll end. You want your division to be “fair and equitable.” This means that although it may not be equal in terms of present dollar amount, over the long term, it is equitable. For example, if one spouse takes the house and the vehicles and the other spouse takes all of the investments, on paper the numbers may appear equal. However, over the long term, the spouse who took all of the investments is more likely to come out way ahead of the other spouse. This is because, although the house may appreciate there is also a cost to keeping the house. And of course, we all know cars don’t appreciate. Another thing to consider is future potential income. If one spouse has always been at home and the other has worked you will want to consider the long term earning potential for each person when you are dividing assets. So you could start with 50/50 and then start to analyze the impact of that division in the long-term and start to make adjustments. The goal is to be fair and equitable because that is not only in your best interest it is in your children’s best interest to live in two households that have a similar quality of life. What is it all worth? As you can imagine, the value of various property can be a big point of contention. Sometimes couples can easily agree on amounts for various items. But the house, often the biggest asset, can commonly be a roadblock. If that is the case, and you cannot agree on a value, then it is best to seek out objective information. This can come from a realtor or an appraiser that you have both agreed on. For finances you generally take the value of those assets on the date of separation. Pensions can be more difficult and may take more work to determine how to handle them. Things like furniture often don’t come into play when adding up assets. Couples often just divvy them up or sell them and are done with it. However, if you want to include your furniture as an asset, unless it is an antique or a particularly unique piece, you generally value each piece by what you could get for it at a yard sale or on a used online market. Although you paid $2000 for your sofa, it’s probably only worth a few hundred used. As I mentioned, it is important to know your rights and what you are entitled to so that you are making informed decisions. But it’s not uncommon that what you are entitled to is not what you actually want. In mediation the two of you have all the control and power to make decisions that make sense for you, your situation and your kids. It’s all in your hands. My job, as your mediator, is to help you work your way through those, sometimes difficult and emotional, discussions so you can get to an agreement. Have questions? Feel free to get in touch, I’m happy to answer them. Content is for informational purposes only and is not intended to be construed as legal advice or advice about your specific situation. Back to school – the real new year begins. Often, for parents, it is a bittersweet time. We are saying goodbye to the more carefree days of summer but also secretly yearning for the structure and routine that September can bring. There is a lot to do and a lot to navigate when it comes to your children and school. For parents who are separated or divorced there can be an added layer of complexity to the situation. Everything from transferring backpacks, sports equipment and science projects back and forth between two homes to what to do when it’s time to schedule “meet the teacher night” can be a source for tension and disagreements. So, how can you make this big transition smoother for everyone involved? 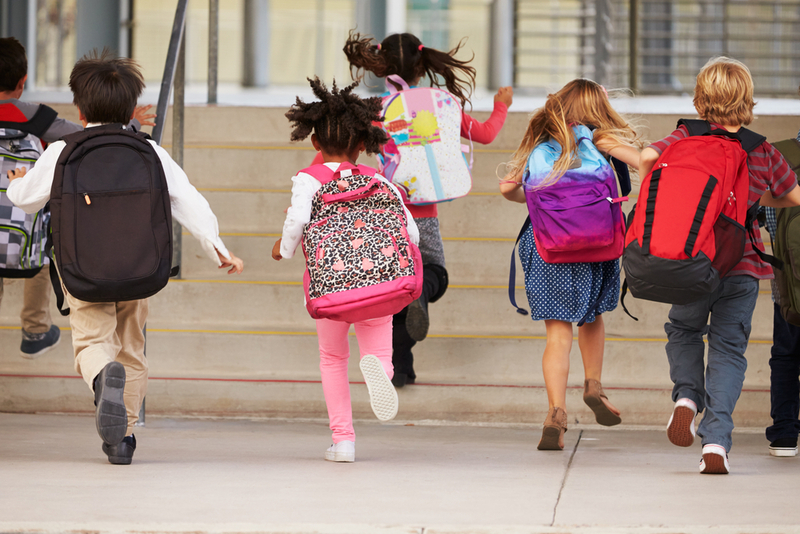 Here are some tips to help get you and your children back to school with confidence. 1. Use a co-parenting app. Communication is usually the biggest challenge for parents who are separated or divorced. A co-parenting app allows you to communicate about all things kid-related while minimizing the chances for miscommunication or lack of communication. One of the best features is a shared calendar. Everyone can be on the same page for homework, activities and events. 2. Bring your child’s teacher into the loop. Let your child’s teacher know the situation and communicate with them when your child is going through difficult. Don’t misconstrue this as an opportunity to speak ill of your ex with the teacher. Keep the conversation about your child and how their teacher can best support them. 3. Show up. If your child is participating in a soccer game or the school play, be there, even if you have to sit at opposite sides of the auditorium. Your child will remember that you showed up for the important events in their life. And when you’re young it’s ALL important. 4. Stay informed. Make sure your school has both of you on their newsletter list. Ask for two copies of report cards. Ask the teacher to cc you both on any emails. When you were together one or the other of you probably took the lead in this department. Now that you are separated be proactive and rely on yourself to make sure you know what’s going on in your child’s life. 5. Contribute. Whether it’s paying your share of the back to school supplies or helping to make the dreaded erupting volcano science project, do your part. Your child is noticing your contributions to their life. Time and engagement is the most valuable contribution you can make. 6. Revisit your co-parenting separation agreement. This will continue to guide you in times of conflict. As your children get older be sure to amend your agreement to address the changes taking place in your life and theirs. As much as your children are learning in school they are also learning from you as their role models. Take this opportunity to show them just how grown up you can be.